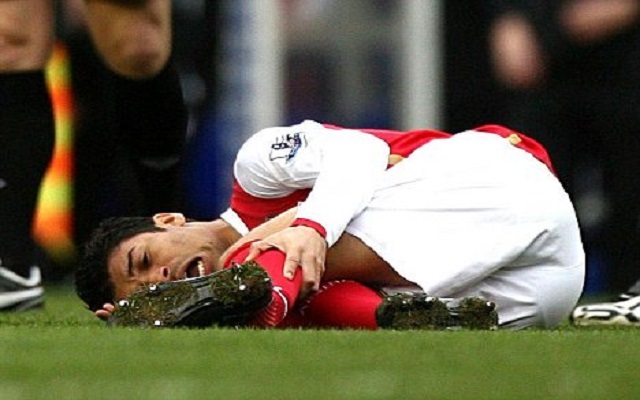 Eduardo suffered an horrific injury seven years ago today. On February 23 2008, Eduardo was playing for Arsenal against Birmingham City when he suffered a broken left fibula and a dislocation of his left ankle in one of the worst football injuries ever. In a Twitter message today he has recalled the that terrible day, and thanked the Arsenal fans for their support during the worst point of his career. He was injured for 12 months. He now plays for Flamengo in Brazil. He’s scored eight goals in 18 games since joining last summer. See the injury below – WARNING! Content is not for the squeamish!